The right product placement can make or break any product, and this is true for any retail industry – particularly the fast-moving consumer packaged goods (CPG) industry. Product placement can influence the shopping and buying behaviors of consumers. In fact, the location of a product and what is located next to it can be the difference between selling five units or selling 1,000 units per day. Product placement depends on many factors that can range from the size of the store, seasonality, and consumer behavior. However, as a brand looking for complementary product placement, truly analyzing how the placement of your product within a store is performing is a crucial step in your sales strategy. Grocery store and pharmacy shelves are formed by planograms, sometimes referred to as POGs. Essentially, these are diagrams which specify where a certain product is located on store shelves, placed strategically in order to increase consumer purchases. Planograms are based on facings, which is the amount of one specific product that consumers are able to see at the shelf level. To create a planogram, retailers look at current sales patterns, consumer behavior, and other factors to determine the number of facings. When drafting planograms, they examine where products are on the shelves in relation to other goods, using complementary products to increase sales. In the past, planograms were intended for store managers and restocking employees to keep track of what’s going on the shelves. By using grocery intelligence software, such as Basket Insights, businesses can see what shoppers see, including sales prices and more. By having access to this information, businesses can identify under-performing product placement and create an actionable strategy to build up sales and revenue. When consumers walk into a store and they’re greeted by colorful, fresh produce, they might not believe this was done intentionally. However, many studies have proven that when bright colors and fresh scents welcome consumers, they’re more enticed to shop. In addition, some brands choose to position their products directly across from their complementary products. The best example for this would be chips and sodas, placing salty chips parallel from thirst-quenching cold sodas. A consumer adds a bag of salty chips to their cart, turns around and also adds in a soda, knowing they’ll need a beverage to wash down their snack. Brands such as PepsiCo benefit from this method, using complementary product placement such as potato chips to increase their sales of sodas. The most common complementary product placement pairings are those that make the most sense for the consumer. Pairings are made to help ease a consumer’s journey throughout their shopping experience. By placing complementary goods close together, the users don’t have to travel around the store to locate what they’re looking for. Peanut butter and jelly – often placed right next to each other or a shelf above or below. Cereals and milk – usually placed parallel from each other. 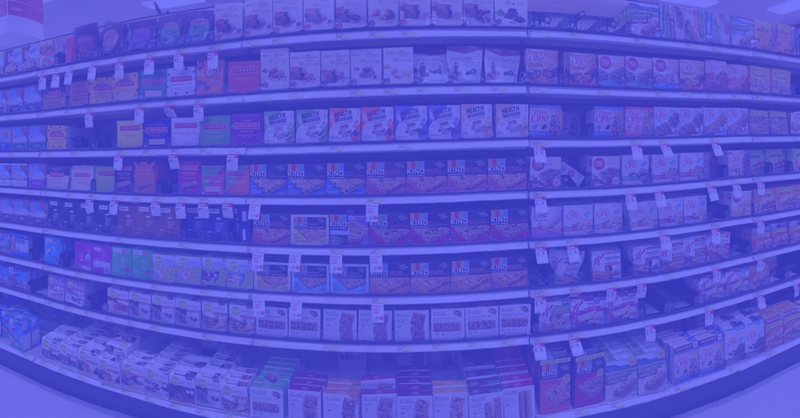 Salty snacks and beverages – most likely to find within the same aisle. Pre-made salads and dressings – often placed next to each other by the fresh produce section. Pre-cut vegetables – when paired together, consumers tend to buy more since they can gather everything for a quick salad. Some UK Tesco stores realized that a large portion of consumers buying diapers were men. After some research, the store realized women sent their husbands to replenish their diaper supply, while they stayed home with the baby. After they noticed this phenomenon, they started placing snacks and beer close to diapers. The result? An instant increase in sales. On some occasions, new products start gaining popularity on their own at restaurants and food chains. However, once they appear on grocery shelves, consumers don’t necessarily know how to use them in daily life. Take, for example, Sriracha sauce. Many shoppers love it while dining out, but have no idea how to incorporate it into their cooking. By placing Sriracha alongside products meant to complement it, such as noodle soups and other food pairings, while also displaying recipe ideas, retailers foster a fantastic cross-promoting idea while delivering a better shopping experience. Plus, they prompt the shopper to purchase and try the sauce at home. Despite the influence that seasons, consumer trends, and other factors may have on cross-merchandising, there are some rules to consider. As you plan out your complementary product placement, consider the following standards. Stay within two aisles: Two-aisles apart is the standard rule for cross-category merchandising. Two-aisles is the extent of most consumers’ peripheral vision. Differentiate between drivers vs. drivens: Some products, such as salty snacks and beverages, are natural complementary products. However, while research says salty snacks make the consumer think of refreshment drinks, it doesn’t work the other way around. When looking at placement, consider if your product’s complementary items are drivers. Study the shopper: Similar to the diapers and beer finding, consumer behaviors change all the time. Having an accurate idea of how customers are interacting and shopping the shelves will give you a better strategy to cross-merchandise your products. In the end, complementary product placement makes customers more interested in your products. It makes their buying experience more enjoyable, and at the same time, it increases your sales. With a grocery business intelligence software, you can analyze what happens at the point-of-purchase (POP) so you can strategize and plan ahead to optimize the customer experience. Determine what products are the drivers to spark sales of your product, find out if your product is the driver for another item, and strategize a plan that will help your brand succeed. See the shelf from the most important view: the shopper’s. Today, brands can make decisions based on on-demand, valuable data that is essential for planning. Make other products on the shelf work for you. Increase your sales while improving the customer’s shopping experience all at once.